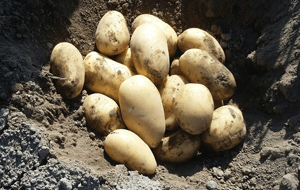 Edmonton Potato Growers is a wholesale supplier of Alberta-grown top quality seed potatoes. We produce many varieties of whites, russets, reds, yellows and several exotic and specialty types. With state-of-the-art storage and handling facilities, as well as logistics and transportation services, your EPG seed potatoes will arrive in excellent condition to produce a superior quality crop.